It’s perplexing. The more engaged the alumni community becomes in the governance of Penn State, the more cloistered and secretive the embattled “Old Guard” trustees become. Penn Staters for Responsible Stewardship acknowledges the statement by Dr. Barron, signed off on by BOT Chairman Masser, calling the secret NCAA emails confirming a conspiracy to impose illegal sanctions on Penn State “deeply disturbing.” Unfortunately, this statement comes two years too late. 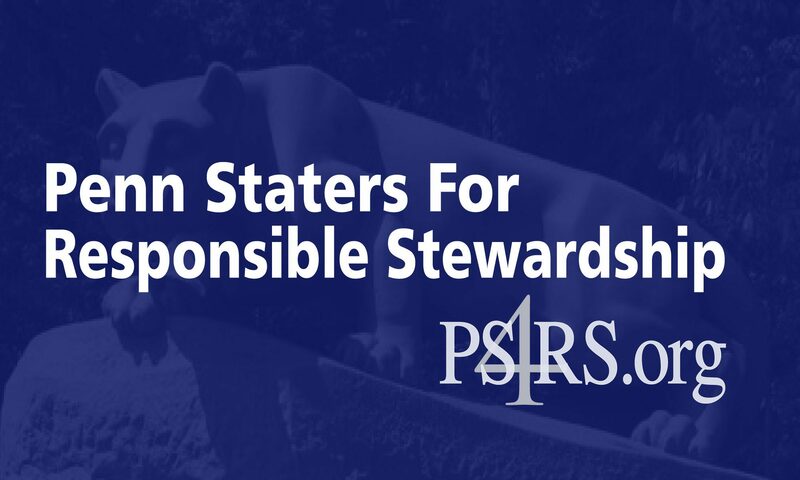 The members of Penn Staters for Responsible Stewardship stand steadfastly by the resolution proposed by Al Lord and backed by the alumni-elected trustees. We are disheartened by the artificial time constraints placed on the meeting for a topic of such significant importance to our University.